A sweeping and path-breaking history of the post–World War II decades, during which an activist federal government guided the country toward the first real flowering of the American Dream. In The Gifted Generation, historian David Goldfield examines the generation immediately after World War II and argues that the federal government was instrumental in the great economic, social, and environmental progress of the era. Following the sacrifices of the Greatest Generation, the returning vets and their children took the unprecedented economic growth and federal activism to new heights. This generation was led by presidents who believed in the commonwealth ideal: the belief that federal legislation, by encouraging individual opportunity, would result in the betterment of the entire nation. In the years after the war, these presidents created an outpouring of federal legislation that changed how and where people lived, their access to higher education, and their stewardship of the environment. They also spearheaded historic efforts to level the playing field for minorities, women and immigrants. But this dynamic did not last, and Goldfield shows how the shrinking of the federal government shut subsequent generations off from those gifts. David Goldfield brings this unprecedented surge in American legislative and cultural history to life as he explores the presidencies of Harry S. Truman, Dwight D. Eisenhower, and Lyndon Baines Johnson. 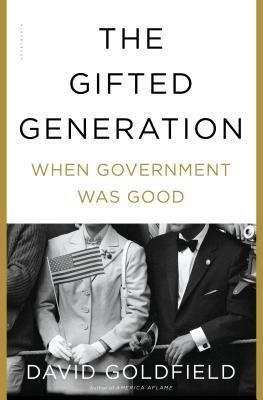 He brilliantly shows how the nation's leaders persevered to create the conditions for the most gifted generation in U.S. history. David Goldfield is the Robert Lee Bailey Professor of History at the University of North Carolina, Charlotte. He is the author of many works and textbooks on Southern history, including Still Fighting the Civil War, Southern Histories, Black, White and Southern, and Promised Land.